And if that wasn't descriptive enough for you to click the play button, here's how Swedish musician Jim Barrett (a.k.a. NaDa/NaDa BaBa/Didgebaba) describes the compilation. 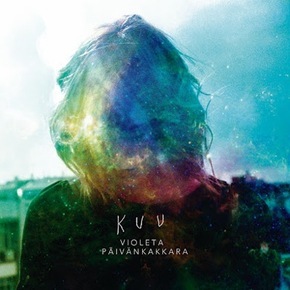 MP3 of the Day: Violeta Päivänkakkara, "Sateenkaari"
"Sateenkaari" can be found on Kuu, a collection released this week on La Gramola Netlabel.